A few days ago we learnt the EndPacific Paddle Games has been canceled. The official word is “postponed til 2020,” but nothing is confirmed for next year either. I’m guessing it’s gone for good. We shouldn’t be sad. It was a good run. 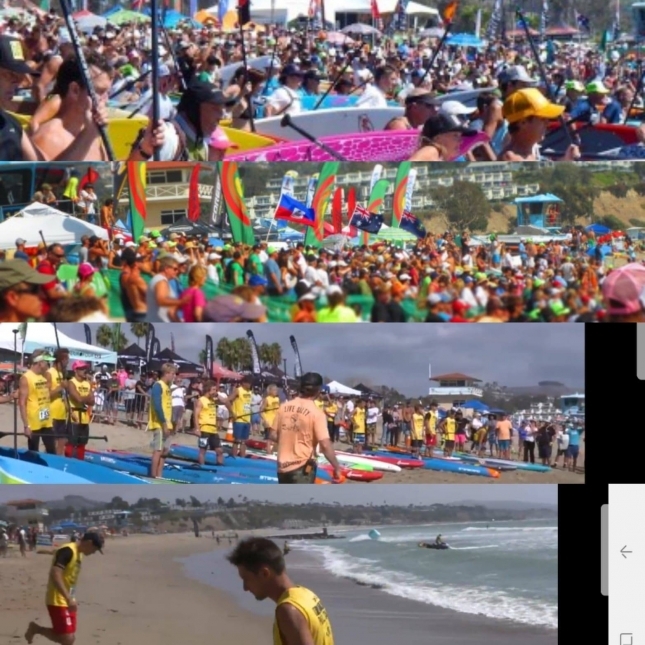 For an entire decade, the Battle of the Paddle and then the Pacific Paddle Games was the undisputed “Super Bowl of SUP.” The memories will last a lifetime, and we should be grateful to the organisers for all the effort involved. But nothing lasts forever, and by 2018 (the 11th edition — if you combine the 7x BOPs and 4x PPGs), the weekend was clearly on the decline. The image above started doing the rounds on WhatsApp and Messenger after last year’s event, and while it’s a little misconstrued – the angle of that last photo is a little unfair – it’s pretty close to the truth. The event was becoming a proverbial ghost town last year, at least in relation to the heady days circa 2012. The top two shots are from the BOP (I’m guessing 2011 and 2012), while the bottom two shots are from the PPGs era. I wrote the other day that while the PPGs made some mistakes in alienating the open division, the decline was probably inevitable. It was a great event run by an excellent organising team, but I think the community simply got tired of going back to the same place every year. Either way, this is a symbolic lesson in why the sport should focus on the grassroots and not get too distracted by the flashy, buzzy elite-only races. Those elite races certainly have their place in the sport, but they shouldn’t become disconnected from the masses that serve as the bedrock of stand up paddling.